A site of unique historical significance, and a holder of two American Revolutionary War records, this thriving colonial town grew in western South Carolina in the mid-1700’s, where several roads met. It was called Ninety Six, because English traders thought (mistakenly) that it was ninety-six miles northwest along the Cherokee Path to the village of Keowee. It was a place where a mix of cultures included Cherokee Indians, Europeans, slaves and free Africans. In 1753 Robert Gouedy established a permanent trading post and by the 1770’s the settlement grew into a community of several hundred residents. The community buildings included a courthouse, brick jail, taverns, and shops, as well as houses. Ninety Six was important to both sides in the Revolutionary War. In November, 1775, in the early days of the war, the first land battle south of the South was fought between Americans for and against British rule. During this battle, Patriot soldier James Birmingham was wounded by a musket ball and became the first South Carolinian to lose his life for freedom. By 1780 Ninety Six was fortified and became an important outpost for the British to exert the King’s authority in South Carolina’s western upcountry. Over 500 Loyalist troops (Americans loyal to the Crown) led by Colonel John Cruger were directed to hold Ninety Six. In May and June, 1781, Maj. General Nathanael Greene led 1,000 Continental Army troops and militia arrived at Ninety Six and found the place strongly fortified with stockades and a massive earthen star-shaped fort. Greene’s troops constructed siege trenches and a 30-foot tall log rifle tower (from which they could fire into the fort). The Patriots also began digging a tunnel, under the command of General Thaddeus Kosciuszko, in which they hoped to ignite a charge of black powder and blow an opening in the Star Fort’s wall. However, after reports of advancing British reinforcements Greene’s troops ended the longest field siege of the war (28 days). 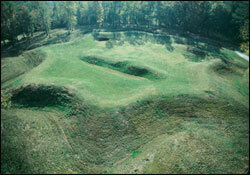 The Patriots never captured the Star Fort but the long siege greatly weakened Cruger’s defenses. Within weeks the British burned and abandoned Ninety Six, leaving their last outpost in the South Carolina backcountry. In the 1960’s there was much interest by local citizens to preserve the history of Ninety Six and the remains of the old Star Fort. Guided by the efforts of local resident and historian Bruce Ezell the Star Fort Historic Commission was created. Throughout the 1970’s Ezell and the Commission were successful in obtaining grants to sponsor a number of archeological excavations. 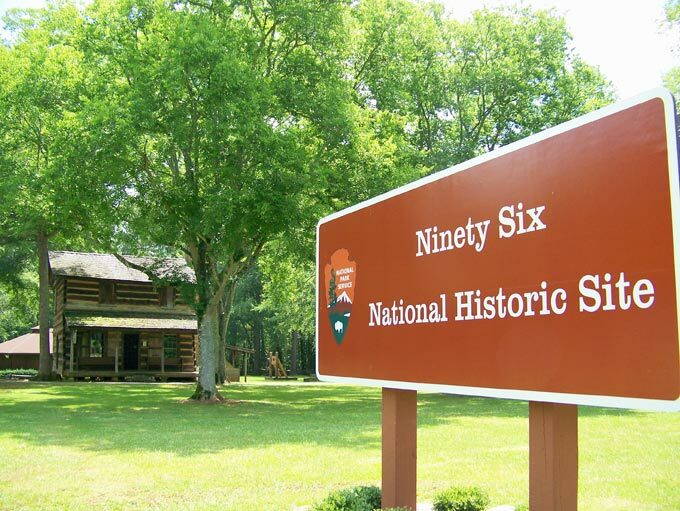 In 1976 Ninety Six National Historic Site was authorized by Congress, transferring site’s administration to the National Park Service. The commission’s goal was finally realized with the establishment of and the protection and preservation for the 1,000 acre federal park. 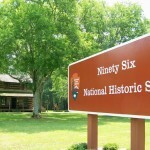 Today, Ninety Six National Historic Site is located two miles south of the modern town of the same name. It features a visitor center, video on the site’s history, exhibits, and period artifacts. A one-mile interpretive walking trail leads past reconstructed trenches, the original Star Fort, the old village site, reconstructed Stockade Fort, and traces of original roads and paths. 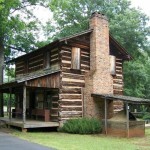 Near the visitor center, the Logan Log House (circa late 1700’s) is an authentic structure portraying a backcountry tavern. Numerous foot paths and horse trails provide access to the park’s undeveloped areas including the 27-acre Star Fort Pond. 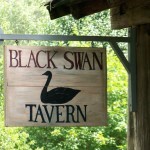 The park sponsors several popular living history programs throughout the year. In April (alternating years) Revolutionary War Days and Lifeways of the Cherokees and Settlers occur. These weekend events feature activities such as musket and cannon firing, colonial-era music and games, and ranger-led tours. On a Saturday evening in October the Autumn Candlelight Tour draws hundreds of visitors. In November the Backcountry Holiday program features ways that settlers celebrated the Christmas season. From May through August Living History Saturdays show visitors how colonial settlers and soldiers lived. Contact the park for a schedule of activities. For a list of American Patriot soliders who fought in the Ninety Six District, please utilize the attached link or contact the Ninety Six Historical Society (see page) for further information.